Blogging has been a passion of mine since I started back in 2011. Its allowed me to share my ideas and wealth building with thousands which has allowed me to make connections with people who have the same passions and desires I have to better themselves. 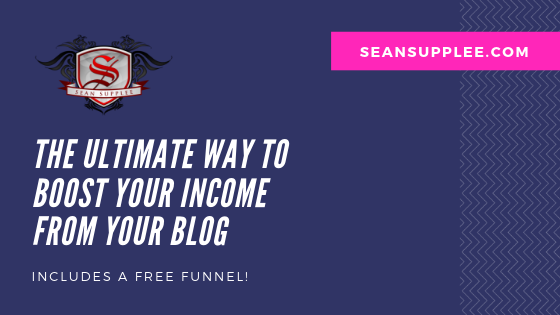 In this post I want to go over how I boosted my income from my blog with the same amount of traffic and how I have taught many others to do the same through the power of Funnels. Before I jump into the details the button below will give you a copy of the funnel I use on my blog for FREE. You can customize this funnel any way you want to promote your own product, service, MLM or affiliate offer. The above funnel is the blog funnel I use myself. It leads into a product and then into a membership area where I do training. However you could build this out any way you like this is just an example of one of many funnels I have built. If you have questions about how to build a funnel for the ideas you have please comment it below I would be happy to assist. The diagram above shows the funnel layout. There are two key ares which make using ClickFunnels one of my most powerful tools when blogging. The first is the Blog > Popup. When someone clicks on a link I have assigned as a Click pop link it will open the funnel into a light box allowing them to progress though the funnel without even leaving my page. I can add a number of these into my blog posts whenever I am referencing different free training, products, services or affiliate links. An example of this can be done by clicking on the link below. In the above example I am giving away a free report in exchange for their email address. From there they are taken to an order form page where I sell a low cost product that offers more value. I do this right away to split my list from those who are action takers/buyers to those seeking free information and might need to be warmed up into buying a higher quality/tier product of mine. These funnels are also designed to be mobile responsive as well which is very important as over half of my traffic to my blog comes from mobile or tablet. The second big key is the follow up sequence. 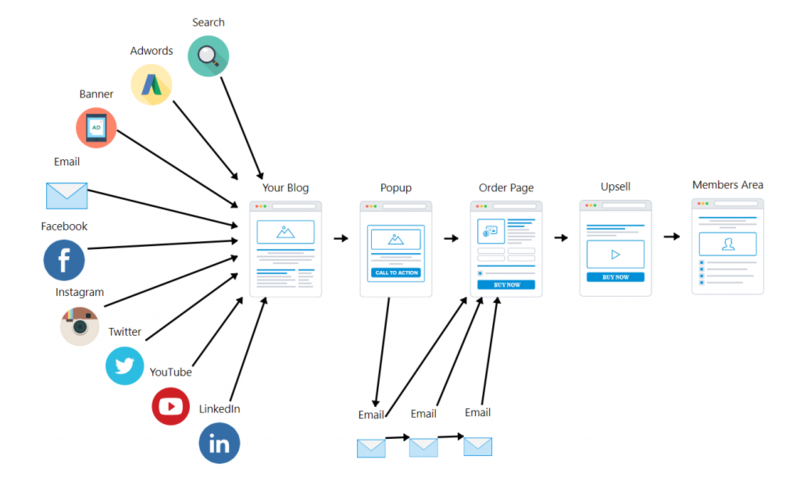 While in the diagram I only have email referenced here I can automate a number of areas of my funnels when I use ClickFunnels. Instead of just email I could follow up with a text message, voicemail, Facebook message or desktop promote all automatically. I can also set triggers to check for certain actions within my funnels to trigger other follow up sequences or remove/add the lead to a new list. Don’t forget to get your free funnel by clicking on the button below. If you have any questions about the setup of this please let me know in the comments.